Fall has become an even bigger deal in our family than summer. It seems like almost every weekend we’re busy celebrating the season. For us, it’s important to set aside time during this busy time of the year. Between going back to school and fall activities starting, there aren’t many family moments during the week. Making a bucket list helps us make sure we are doing the things our kids love to do, while reserving some precious family time. 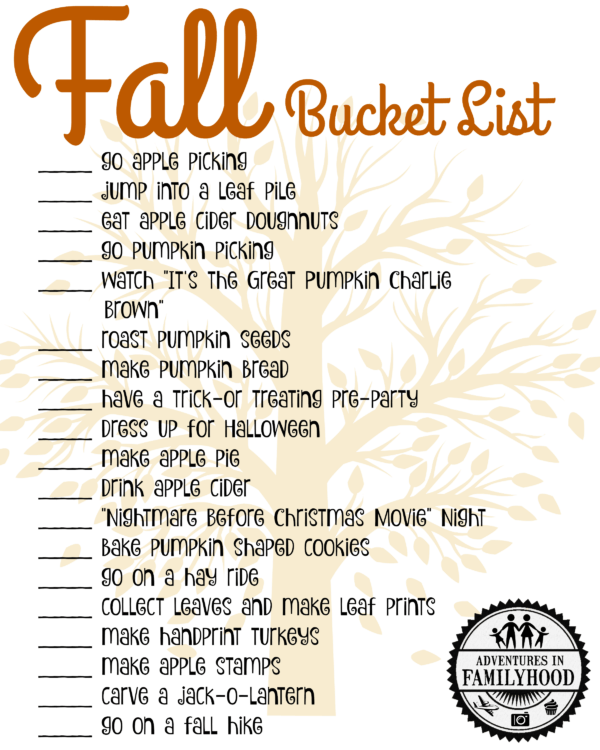 Our Fall Bucket List may change from year to year, but there are a few staples that remain the same. Here’s a few of our favorites plus a complete Fall activities list (and free printable). We’re lucky enough to live in Long Island where you can find some of the best apple-picking locations in New York. Because of that we’ve hopped around over the years searching for the perfect orchard. The past two years, we’ve made our way to Hank’s Pumpkintown in Watermill, NY. 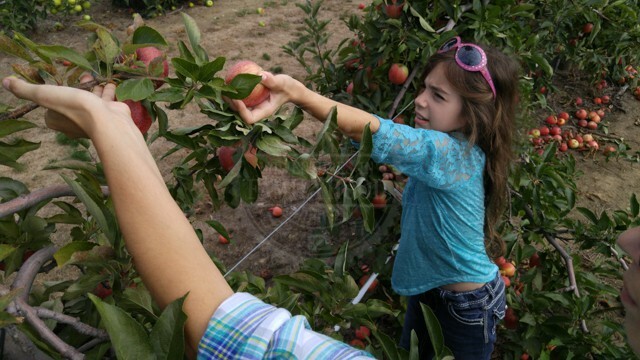 Apple picking is a great way to spend the day experiencing the change of the seasons and enjoying the fall weather. The apples we pick eventually turn into applesauce, apple pie, or even candy apples. 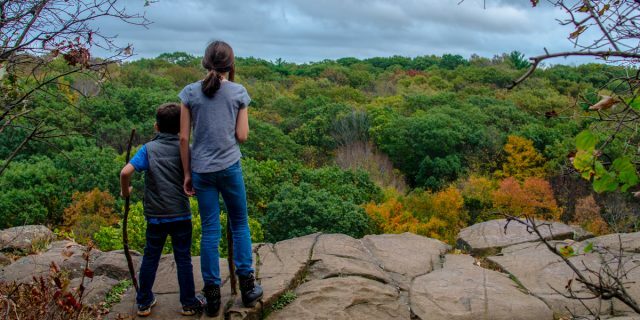 The colorful displays that nature puts on each autumn, like the one we enjoyed from the top of the mountain in Sleeping Giant State Park last year, are an annual reminder of how little time and money it takes to have a great family experience. It’s one of those things you have to see with your own eyes and not through a screen. There is probably a National Park near you with prime viewing spots. Pumpkin light displays have been all the rage for the past couple of years. 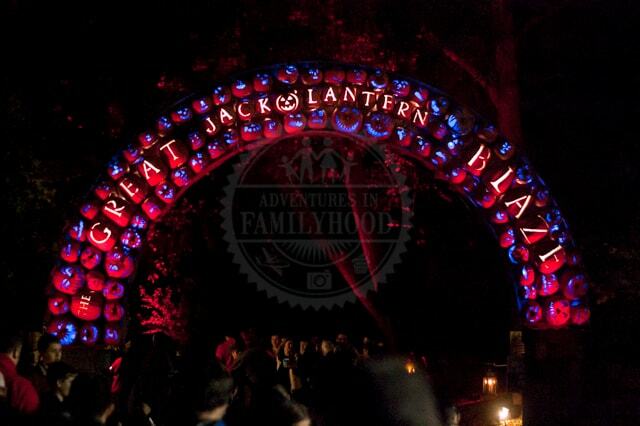 We went to a local one before we discovered The Great Jack-O-Lantern Blaze and we never looked back. We love roaming through display of over 7,000 pumpkins, usually with a hot chocolate in hand. It’s always amazing to see what kind of creative sculptures they can come up with next. 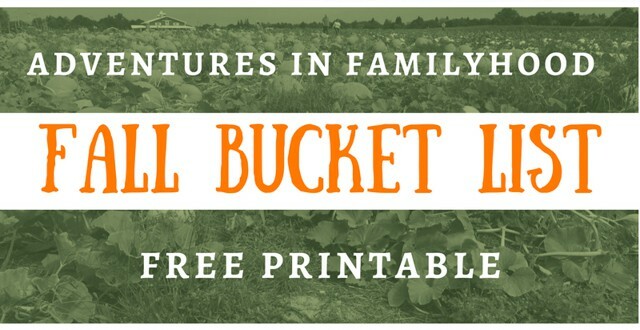 This is a fall tradition that I actually had as a kid. 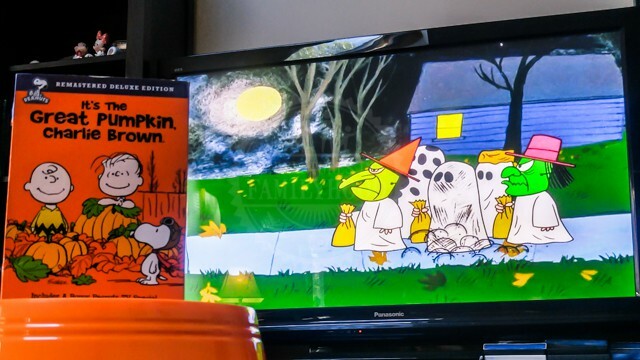 In our family watching The Great Pumpkin has become something we HAVE to do. It’s not Halloween without it. This is the night when we carve our pumpkins and make roasted pumpkin seeds. I’m in the process of creating an “It’s The Great Pumpkin, Charlie Brown” movie night. Stay tuned. If you don’t have a copy of “It’s the Great Pumpkin, Charlie Brown”, you can use follow either of these affiliate links to purchase it. (We may receive compensation if you use these links). The Great Pumpkin Charlie Brown: Amazon and Target. 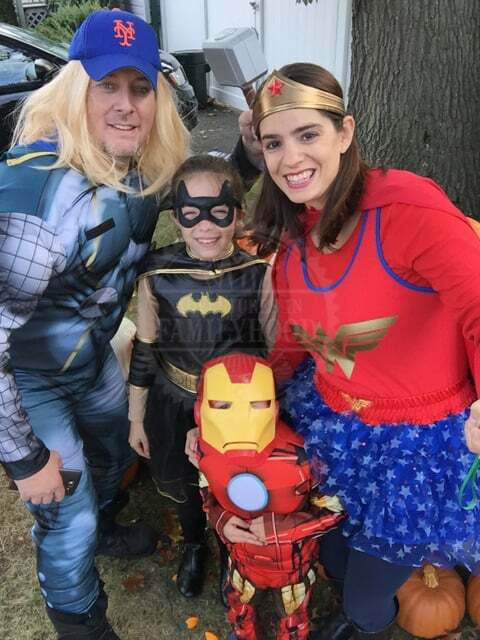 When it comes to dressing up for Halloween, we’ve been that family. Ever since the year before Jackson was born we have dressed up as a family. Over the years, we have done themes such as Toy Story, The Wizard of Oz, Frozen and Peter Pan. Sadly, I think this tradition has ended as Bella chose to dress up with friends last year. Thankfully, we still have Jackson for the time being. Last year, the three of us did a Star Wars theme. We’re not sure what we’ll be dressing up as this year yet. If you’ve read our site before, you know that James loves Halloween. In his eyes, it’s bigger than Christmas. Each Halloween, he makes it his mission to create an elaborate Halloween yard display in our front yard. 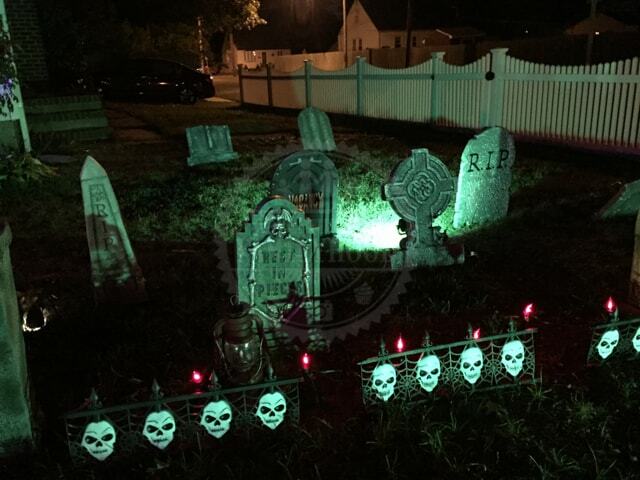 The display started out as a simple spooky graveyard, but has since grown into a combination graveyard and light up pumpkin patch. 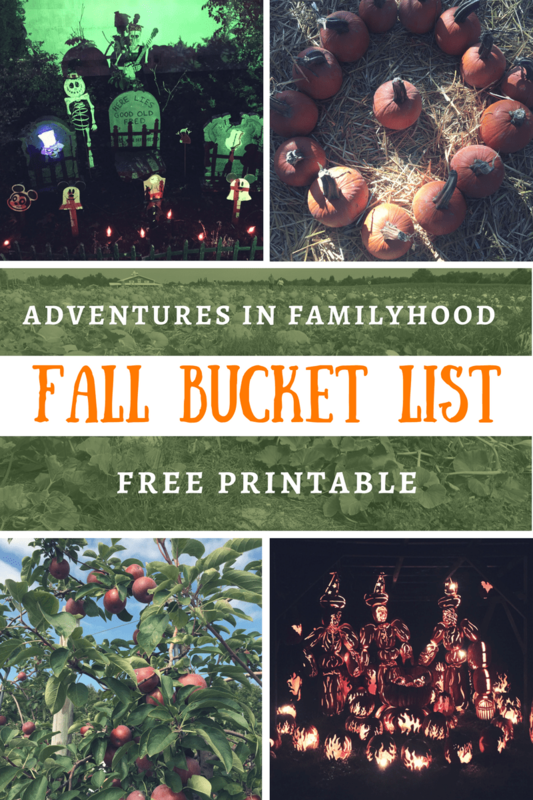 It now includes custom made Disney villains gravestones, a Great Jack-O-Lantern Blaze inspired pumpkin display, and a Charlie Brown and Linus cut out. It is definitely a family affair to get this display up and running. Each year it gets better and better. I can’t wait to see what he’ll add to it this year. I’ve only just scratched the surface. There are so many more activities our family does it the Fall. Here’s the rest of the list. We can’t wait to get started on this year’s activities. What are some of your favorite things to do in the fall? Let us know in the comments.